2 million B.C. 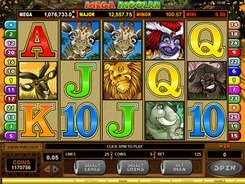 pokie by BetSoft. Review, free game and bonuses. 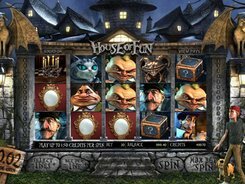 Home Pokies at Online Casinos Pokies catalog Betsoft 2 million B.C. The beauties of the world long before smartphones and even invention of a wheel are just a couple of clicks away – 2 million B.C. pokie drags you back to the past you’ve seen in the sci-fi movies. The journey is exciting and the winnings are huge – 5 reels and 30 lines are at your disposal. The atmosphere of those ancient times is brilliantly reflected in the colorful design boasting stylish 3D features creating the effect of full immersion. The symbols you will use while on your quest of exploration and gold are many – rubies, saber-toothed tigers, mammoths, monoliths and many more, and despite the absence of scatter or wild symbols, the winning combinations are many too. Moreover, if you collect 3 fire symbols you’ll get the free spins, while the collection of savage women symbols means an extra addition to your earnings. 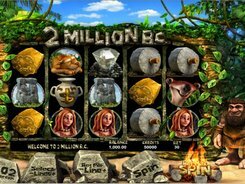 Take a breathtaking journey in the past and get back with the chest full of gold with 2 million B.C. pokie right away!